With an opportunity to help promote 45 years of the St. Jude Open Bass Classic and increase annual donations, a comprehensive make-over was called for. A new logo tethering the organization’s mission, a new event brand and a revamp of the competition levels were key components for the program. 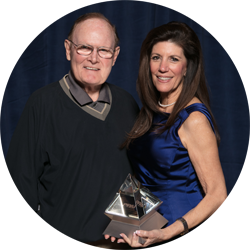 A combination of new promotional items, direct mail, new informational collateral and media advertising delivered signi cant increases in donations, sponsorships, auction items and desirable decrease in expenses for a winning re-launch. 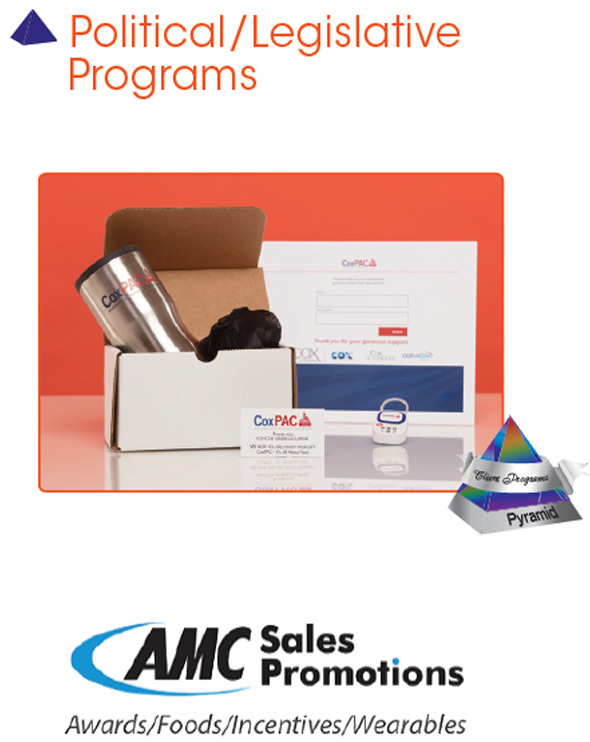 Working with legal limitations, this PAC was able to recognize its constituents and add strong brand exposure. The online component of this program was an invaluable tool in capturing accurate contact information and eliminate wasteful mis-shipments. The campaign was based on the fact that the two most promoted programs on the Learning Channel network are "Archeology" and "Unseen Treasures." 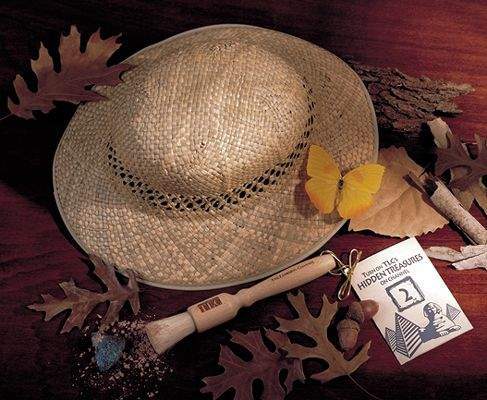 The night before the trade show opened, attendees found a surprise at their hotel room: an imprinted archeological brush with a hang card and sweepstakes entry form stating "Turn On TLC's Hidden Treasures on Channel 2." Inside copy promoted prizes such as a London trip and cash donations to "your local library." Guests needed to watch the hotel's Channel 2 for sweepstakes answers. T he brush and forms brought to the booth at the time posted on the "Archeological Dig Schedule" could lead to "buried" treasures such as a fanny pack, golf cap, T -shirt or tote bag. 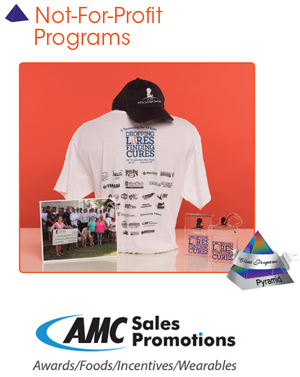 The campaign Critikon planned a promotion to draw booth traffic at five trade shows. These would be attended by nurses and anesthesiologist – about 11,500 in all. Placed in registrants’ hotel rooms was a brochure headline "For your eyes-only." 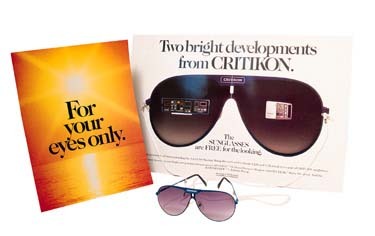 Inside the folder was a photograph of sunglasses with the two promoted products reflected in the lenses. Attached to the sunglass photograph was a neck cord. Recipients were urged to bring the neck cord to the advertiser’s booth, where they would receive a real pair of sunglasses, which they could wear with the cord. When city officials determined previous campaigns involving public service announcements and advertisements were not effective in communicating citizen's rights, a specialty advertising campaign was targeted to Tampa preschool and primary grade school children. The one-year program began in September 1991, and included a distribution of a "kit" containing specialties and printed materials carrying out the theme, "Equality Begins in the Home." Included were crayons, rulers, pencils and a slide glide "Safety Basics for Kids Home Alone," all decorated with animal character logos. 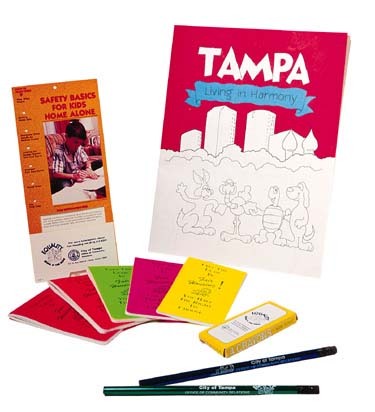 Focal point of the kit was a "Living in Harmony" coloring book which defined housing rights and instructed children to talk to "mom and dad about fair housing." Community outreach workers and teachers were encouraged to discuss the topic with children, and some participants used role-playing and skits to clarify the message.